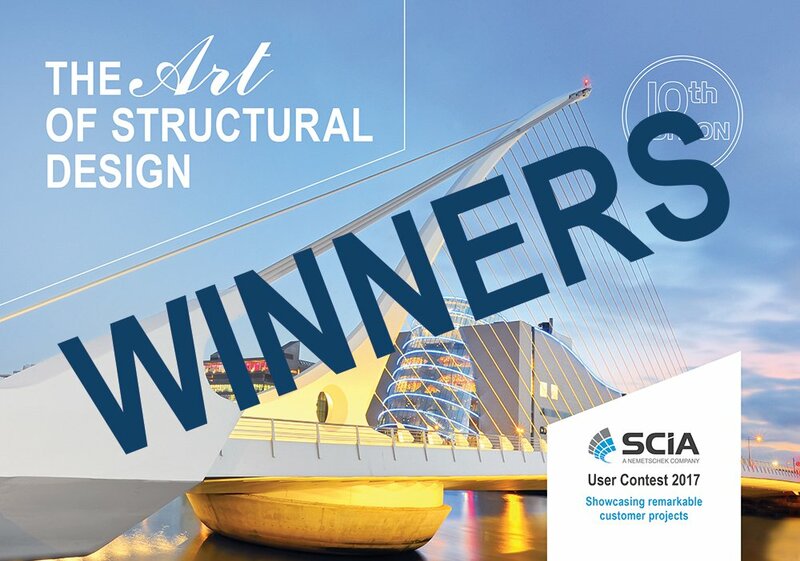 We are happy to announce the winners of the 10th edition of the SCIA User Contest 2017, aptly named “The Art of Structural Design,” and share the impressive and inspiring work of our customers. This year, 124 international structural and civil engineering projects participated in the User Contest 2017. Utilizing SCIA Engineer as the structural analysis and design software, every one of the projects illustrated originality and precision, and many also focused on sustainability and the application of BIM. An independent international jury of eight experts from the industry and academia was very impressed with the great work and achievements of all participants and selected winners in four main contest categories as well as awarded one project with the Special Prize of the Jury for the advanced implementation of BIM. As in the last edition, we also asked the public to select their favorite projects in the Prize of the Public contest organized via SCIA’s Facebook. The winner with the most votes received the ‘Prize of the Public’ award. All six winners are awarded a prize of €1.500 each. We sincerely congratulate the winners on their exceptional achievements and thank all the participants for having shared their projects and know-how with us. We launched the first SCIA User Contest in 1992, when the software was still running on DOS, with dozens of participating projects located in several European countries. Since 2005, we have held the User Contest every other year and the number of participating projects has grown to over 100 from around the world. Many engineering firms have been participating since the beginning of the User Contest. In all we do, our purpose is to delight our customers by helping them create the best structural designs. The success and results with SCIA Engineer in all the projects inspire and empower us to innovate and to provide our customers with the tool that enables them to do anything they aspire. You can learn more about all the participating projects, their challenges and solutions applied, in the 10th edition of ‘The Art of Structural Design’ book available in a hardcover and online format. Would you like to own a free hardcopy of the book? Request it via the link below and we will send it to you.